The theory of causal independence is frequently used to facilitate the assessment of the probabilistic parameters of probability distributions of Bayesian networks. 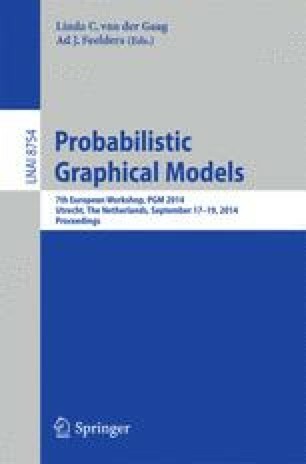 Continuous time Bayesian networks are a related type of graphical probabilistic models that describe stochastic processes that evolve over continuous time. Similar to Bayesian networks, the number of parameters of continuous time Bayesian networks grows exponentially in the number of parents of nodes. In this paper, we study causal independence in continuous time Bayesian networks. This new theory can be used to significantly reduce the number of parameters that need to be estimated for such models as well. We show that the noisy-OR model has a natural interpretation in the parameters of these models, and can be exploited during inference. Furthermore, we generalise this model to include synergistic and anti-synergistic effects, leading to noisy-OR synergy models.